For the gym, for your morning run, and for simply lounging around the living room, there's no beating our range of shorts and joggers for women. 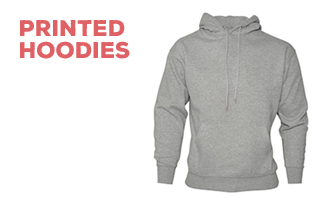 As you can see, we have a great selection of ultra-comfy garments to choose from - our range includes everything from gym shorts to lounge pants, and as we mentioned earlier, all of these items can be personalised according to your specifications. When it comes to creating professional-grade customised clothing, the My Printed Clothing team are second to none. We specialise in adding bespoke designs to top-quality garment, so no matter how you want your new jogging bottoms to look, we won't let you down! We offer a variety of different customisation options on each of our garment. You might choose to add a line of text to the back pocket of your shorts, or perhaps a stylish logo to the front pocket. The choice is yours, and our simple upload tool makes it impeccably easy to give us your design. If you need any help while ordering your custom shorts or jogging bottoms, please don't hesitate to give us a call on 0845 850 9836.